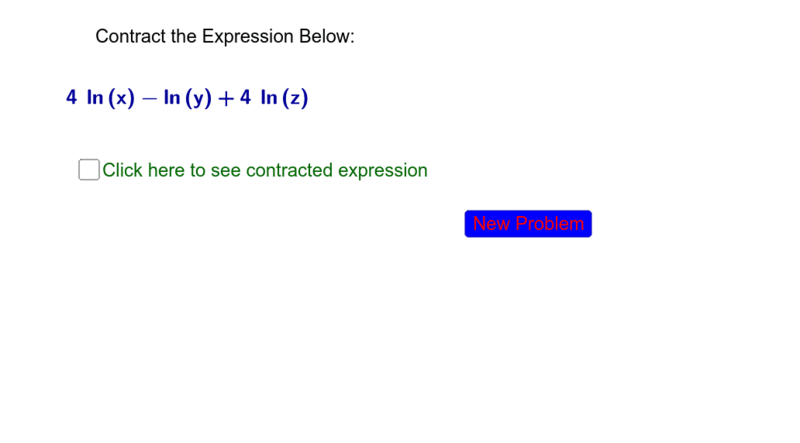 practice contracting logarithmic expressions. The contracted expression might not be written exactly the way you would write it. You should have a single logarithm once contracted.